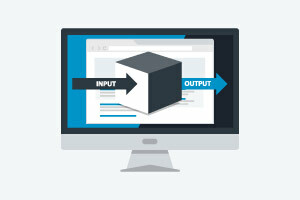 Learn about software testing strategies such as black-box testing and white-box testing. Learn about strategies for Black-box testing, about equivalence class testing and special value testing by studying the course Software Testing - Black-box Strategies and White-box Testing. You will learn about three of the strategies for combinatorial testing and also about using White-box testing and the types of errors and faults it tests for. The course begins by introducing you to equivalence class testing. You will learn how equivalence class testing works and how equivalence classes are created for both invalid and valid data. You will learn about special value testing and about its two types: general risk and special risk. You will also learn about boundary value testing and how it works. Next, you will learn about the different types of combinatorial testing, which is another black-box strategy. You will learn about decision table-based testing, and also about cause-effect graphing and how it can help you generate your decision tables. You will learn about pair-wise or all-pairs testing and how they work. Finally, you will learn about strategies used in white-box testing and about how white-box testing strategies can be broke into different types. This course will be of great interest to those wishing to learn about strategies for testing software. Prerequisites: The learner will need to have completed the previous course Introduction to Software Testing. Having completed this course you will be able to: - Discuss the use of equivalence class testing. - Explain special value testing. - Describe the process of Boundary Value Analysis testing. - List three strategies for combinatorial testing. - Describe the Decision table-base testing and it usefulness. - Explain pair-wise testing. - Discuss White-box testing and its types of strategies.